Its the right time & the right moment of the year to announce the 2nd edition of the ultimate portuguese IT conference – Tuga IT 2017, that will take place between 18th and 20th of May in Microsoft Headquarters in Lisbon. The topics are the same as in the last year – Microsoft Data Platform, BizTalk, SharePoint, Office365, Azure Infrastructure, but we are adding a range of different new topics, such as Open Source Data Platform and Professional Development, to list a few. The call for speakers is open until the 1st of March 2017, but you better hurry up – we just might start picking the speakers right away. If you have a cool open-source project, then consider submitting a session on it – we will be very much focusing a certain percentage on the sessions on it. 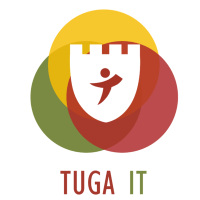 Go on and submit a couple of sessions for the Tuga IT 2017!